Some men are born mediocre, some men achieve mediocrity, and some men have mediocrity thrust upon them. With Major Major it had been all three. Even among men lacking all distinction he inevitably stood out as a man lacking more distinction than all the rest, and people who met him were always impressed by how unimpressive he was. If you recall, a couple of months back I had a curious experience when Pinterest called for its users to crowdsource the Spanish version of the site. The thing was that the blog post the company used to energize its crowd was not so much in Spanish but rather in what becomes of Spanish after a bloodthirsty psychopath chops it up into itty bitty pieces, stuffs the remains into the trunk of his car and drives away. The Pinterest employee behind this monstrosity insisted it was perpetrated by a professional translator. I countered by saying: “No uh.” And she finally relented and admitted that her mother had done the translations (although she was careful to delete the smoking gun tweet in which she attributed the work to her mom). Anyway, my narration of this ridiculous affair was crowned by a recollection of a similar incident when a crowdsourced “t9n” company called Smartling proudly announced the launch of its Spanish-language website. The funny thing is that what Smartling calls “Spanish” is not so much strongly influenced by the tongue that emerged when the Angles met the Saxons met the Normans. No, it actually is the tongue that emerged when the Angles met the Saxons met the Normans. I tweeted the fact that Smartling’s “Spanish” website was actually in “English” (which is, like, a whole other language). This prompted frantic tweets from an employee asking what the problem was. After I informed her, she equally frantically rushed to put up some sort of Spanish version online. As I described elsewhere, this two-sentence comparison between Pinterest and Smartling prompted a backlash from the very irate chief executive officer of the latter company, Jack Welde. In his rebuttal of my criticism of crowdsourcing, he stated that “there is plenty of work for professional translators, especially the good ones. And Smartling is delighted to work with some of the best translators in the business; we respect their craft and the high quality work they do.” Earlier, he had noted that “many of our customers use professional translators to perform translation -- translators like yourself (although you seem pretty angry, and not much fun to work with...).” Anyway, trollish comments aside, I did promise that I would publish a slightly more detailed appraisal of 1) Smartling’s own Spanish language website, (which I suppose would have been assigned to these “professional translators” Welde claims to work with) and 2) a sampling of the websites of Smartling’s own clients. It's generally not about "the money". I'm pretty sure Pinterest can afford to pay for professional translation, but I suspect they are looking to incorporate their existing passionate community into the translation process as a means of increasing engagement -- while moving at the speed of Web 2.0 businesses. The general message is that Smartling’s platform is agnostic and neutral. You can localize your website using an agency, in-house translators or your website’s users. 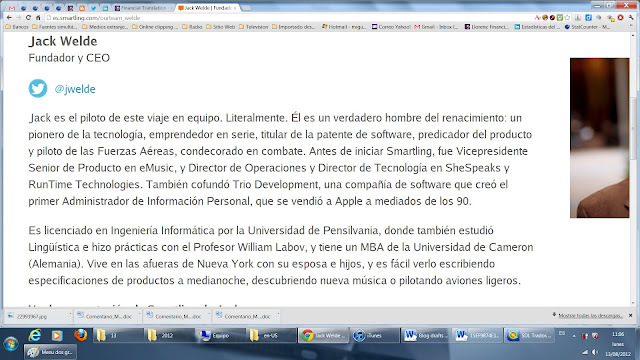 I assume that Smartling’s own website was translated using these much-vaunted professionals. Listen to the CEO extolling the output of the professionals he employs: “Smartling is delighted to work with some of the best translators in the business; we respect their craft and the high quality work they do.” Now look back at the quotes from the Smartling boss and see how many times the highlighted phrase "professional translators" pops up. It is obviously an important part of his pitch. It is reasonable to expect that proof of the high quality provided by these translators can be found in the face that Smartling presents to its Spanish visitors, I imagine. So let’s return to the scene of the original crime. Let’s click on the language tab of Smartling’s home page and go through the looking-glass. In my view, translation is something that can be done by any bilingual, with differing levels of success. Professional translation, in contrast, is the product of thought applied to the everyday task of translation. Viewed under that light, it is readily evident that Smartling does not employ professionals even for its own website, since very little real thought has gone into the work. It is not so much that Smartling’s bilinguals are incompetent, but rather that they do not have any experience in the difficult task of laboring over a message in one language and then coming up with an equivalent in another one. And that is why the translations Smartling facilitates for itself and its clients sound a little like the end-of-year project completed by heavily stoned middle schoolers for their Spanish 101 required credit. Look, for instance, at the website’s menu. “Traducción de la comunidad” as an option for “Community translation” is wrong. To give you an idea of how wrong it is, when you back translate it, you get “Translation of the community.” “Traducción comunitaria” would be a better option. 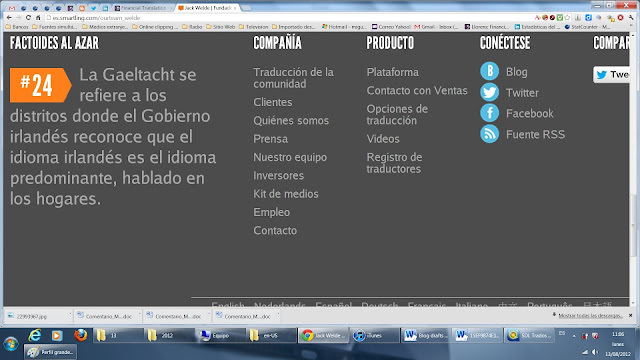 “Kit de medios” as an option for “Media kit” is just embarrassing. A site menu is an object to which you devote a lot of thinking, because it determines how visitors surf your web page. It may be just 20-25 words, which usually can be translated in a few minutes. But you should devote several hours to choosing the words carefully in order to keep those fickle Internet visitors from being instantly turned off by a stilted and clumsy Spanglish roadmap. ¡Con una población de unos 32 millones en 2010, los mexicano-estadounidenses comprenden el 63% de todos los hispanos de EE.UU. y el 10% de toda la población de EE.UU.! First of all, why the exclamation marks? The idea that a dry statistical fact is worthy of opening with an exclamation mark in Spanish is dumbfounding. Answer: the exclamation marks are there because the original English has one, which is precisely how non-professional translators tend to work. Everything in these sentences is clunky, from word choice to the grammatical sequence. The structure of the sentence transcribed above is a carbon copy of the original ("At nearly 32 million in 2010, Mexican-Americans comprise 63% of the U.S. Hispanic population and 10% of the total U.S. population!"). But it is the use of “comprender” for “comprise” that just kills any hope of reading comprehension. There is a bouquet of other word choices that would make a lot more sense and would help the reader more (incidentally, this tends to heighten the suspicion that this text is the product of a cursory post-editing by an inexperienced linguist, but Jack claims emphatically that he doesn’t do post-editing, “and Brutus is an honorable man”). A sentence such as this is the product of either a machine translator or a very unskilled human one, which for all intents and purposes come to be pretty much the same thing. The same amateurish handiwork is evident in Mr.Welde’s profile page. The literal translation "hombre del renacimiento" as an option for "Renaissance man" is meaningless in Spanish. A professional translator would tell you that. Raw machine translation won't. Neither will a crowd of hamsters. They will also fail to tell you that acronyms as frequent as CEO and MBA have very nifty equivalents in Spanish. Es licenciado en Ingeniería Informática por la Universidad de Pensilvania, donde también estudió Lingüística e hizo prácticas con el Profesor William Labov, y tiene un MBA de la Universidad de Cameron (Alemania). Vive en las afueras de Nueva York con su esposa e hijos, y es fácil verlo escribiendo especificaciones de productos a medianoche, descubriendo nueva música o pilotando aviones ligeros. He lives outside of NYC with his wife and children and it is easy to see him writing product specs at midnight, discovering new music or flying light aircraft. Why is it so easy to see Jack writing product specs at midnight? Hasn't he heard of walls? Does he do a Big-Brother type webcast of his home life? Couldn’t have said it better myself. I hope I have provided enough evidence to prove that if Smartling does indeed use professional translators, it does not use very good ones. Now, Mr. Welde is free to promote his business as he sees fit. However, his repetitive claim that Smartling employs professional translators should not go unchallenged, because a cursory inspection of his and his clients’ websites clearly demonstrates that he doesn’t. My fear is that Mr. Welde probably does not have any acquaintance with the non-English-speaking world aside from that time in the mid-nineties when he spent a summer bombing Serbia from his laptop. His profile claims that he holds “a [sic] M.B.A. from Cameron University (Germany)”. Curiously, the Internet reveals that there is no Cameron University in Germany. There is a Cameron University in Oklahoma, though. Jon Voight as Milo Minderbinder in the movie version. Oklahoma. Germany. Different places, in my view. “Same difference,” in Welde’s world view. I shudder to think that this same dude was picking targets during a NATO bombing campaign. If he employed the same geographical acumen in that task that he uses in describing his alma mater, we may have a post-modern version of Catch-22 on our hands. 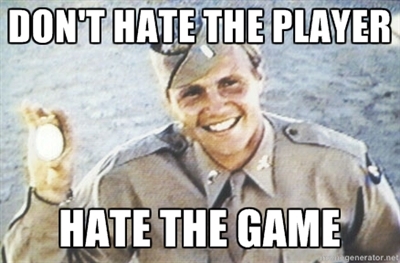 And, to tell the truth, Welde does remind me a lot of the Lieutenant Milo Minderbinder immortalized by Joseph Heller in his classic satire about World War II. Minderbinder is a red-blooded, blond and blue-eyed officer who runs an illegal bartering operation using matériel he stole from the Air Force. He justifies all his actions by blithely stating that “what's good for M&M Enterprises will be good for the country.” The M in M&M stands for Milo, of course (he added the “&M” so people wouldn’t think it was a one-man operation). In one climactic scene, Yossarian’s plane is going down and he opens his parachute to discover an I.O.U. from Minderbinder, who “borrowed” the parachutes’ silk to make stockings for prostitutes. Why is Cameron University suddenly transported from the arid badlands of Oklahoma to the lush, green fields of Germany? Is it perhaps because Welde earned an M.B.A. online from Cameron University while living in Germany? That would be my guess. Is this, then, perhaps the case of a slightly unworldly American businessman trying to puff up the international aspects of his CV because he runs a translation company but doesn’t know any other languages? Possibly. Is it insane to point out that this little obfuscation might be somehow related to the low quality of the translations on his own site? Who knows? The world is a mysterious place (albeit endlessly fascinating in its sheer absurdity). Touché! Simply brilliant, as usual, Miguel. I only wish I could write so Smartly(ing) as you do, in order to help you in this crusade of convincing someone who thinks he knows better about translation than the translators themselves, or better about a language than the language speakers themselves. Because "no hay mayor ciego que el que no quiere ver" (or, as Google Translate would say: "No more blind than he who will not see". Do you think Welde would also say that? No, Welde wouldn't say that. Remember: Smartling doesn't use machine translation. Although I'm sure one of his expert professionals might come up with something close to that. Brilliant and funny, as usual. I'm ashamed to say that I consider myself a professional translator but failed to recognize why using the term "hombre del Renacimiento" should be wrong. I've always used it and thought it perfectly right. Why is it wrong? No, the answer is not embarrassingly ob vious. I consulted the Spanish Wikipedia page for "polímata" and it uses the phrase. However, I think this is a case of "carbon copying" from an English original that doesn't faithfully represent generalised Spanish usage. The phrase "hombre del renacimiento" can be understood in its specific sense of "polímata" by a translator or by a person who has read a lot. However, in that sense it is not as general in Spanish as the sense of meaning "what the ideal man of the Renaissance was" or "what the typpical man or woman of the Renaissance was like." Maybe the distinction is a bit too fine, but, as I indicate in the post, the point is that critical thinking must be applied. In the case of a good translator, I would give the benefit of the doubt. In the case of Smartling's texts, I would not. Ok, *sigh*!! I'm relieved. Dunno, I think I've been using "hombre del Renacimiento" in the sense of polímata since I learned about Renaissance in school, and hear it fairly often - implying the same - from other people, and not necessarily translators or bookworms. To be honest, what I'd never heard before wss the word "polímata"... which I'll thankfully add to my mental dictionary. Open Google, run a search for "Sonido de Milford", and prepare to weep/gag/bleed from the eyes. This message was brought to you by your Friendly Bitterness Consultant. Hi Miguel, Nice blog post (as usual). I know that you disdain machine-translation-based solutions and it appears that don't care much for crowdsourcing-based solutions either. You are truly a conservative when it comes to the translation business. Using this free tool, Spanish translators can translate web pages via MT and then use our online translation editor to do the post edit. The result can be saved and downloaded as an HTML file. This is a quick and easy way to translate web pages, and the results are as good as the person who does the editing.